Carlos Sainz says he has seen the 2019 McLaren and thinks it will be a "good year" for the struggling British team. He refused to comment on the new rumours about Alonso's possible return to F1 for 2020. 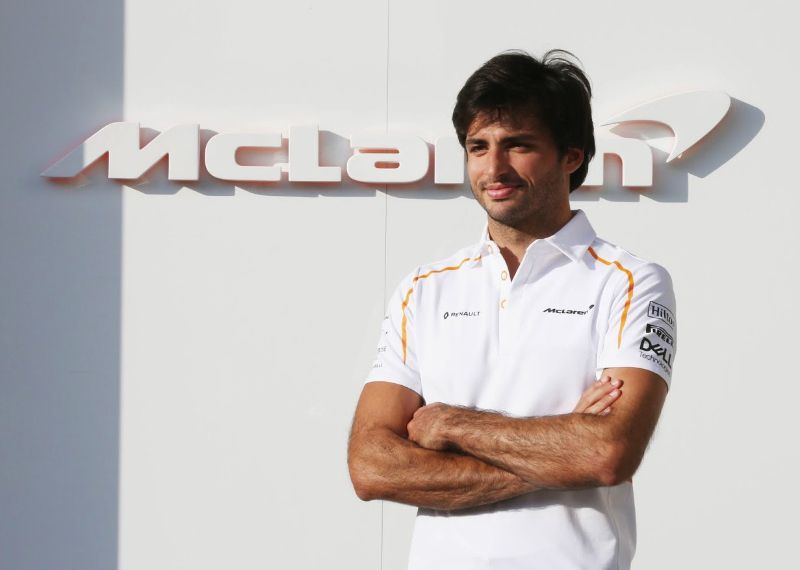 "I am impressed with what he has been doing, but honestly I am not surprised because I know what he can do," Sainz said at a sponsor event in Madrid. "It's too early to judge whether he will return to formula one. He's only just left," he smiled. "The new regulations open the door to teams that had a very bad time last year," he said. "I have seen the car in the factory and I really like the design, even though it was only the engine and chassis that I saw. "The bodywork was not on, but it is very elaborate and very different. At first sight, I like it. I've seen images of the design and the aerodynamics and I like it a lot. "The really important thing now is the test results and that I like to drive it a lot," Sainz smiled again. "2018 was a year of reflection for the team but they have learned what was wrong and are trying to return to where they were years ago. "There now has been a restructuring and the result will be seen in the medium term. "Everything will be ready to start the testing. I think it's going to be a good year for McLaren and for me," he added.